Welcome to Frick & Frack's fourth episode of the Construction Safety Blog for 2018! In our last episode, they taught us the ABCs of traffic control and reducing the fatality rate in work zones. In this new episode, Frick & Frack are on-site with Evans Construction, A CRH Company, located in Wyoming, talking about their highly effective mobile equipment safety policies. In this comprehensive mobile equipment safety video, you'll learn about effective mobile equipment safety plans that help prevent pedestrian and vehicle accidents. Mobile Equipment Safety Blog from Americas Video Team on Vimeo. 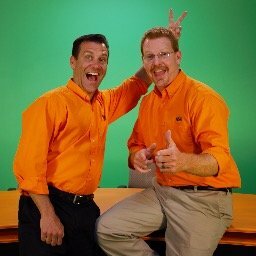 Frick & Frack will be back throughout the year with more valuable construction safety videos. In the meantime, check out past episodes right here and stay up to date with all of our safety information!